For as long as I can remember I’ve loved taking photographs of cattle. Growing up on a farm in Gloucestershire meant they were always in the fields around us. With a gentle and curious nature, I think they are wonderful animals. I’d always fancied having an exhibition of my pictures but never thought much more about it until I came up with my List for Living. 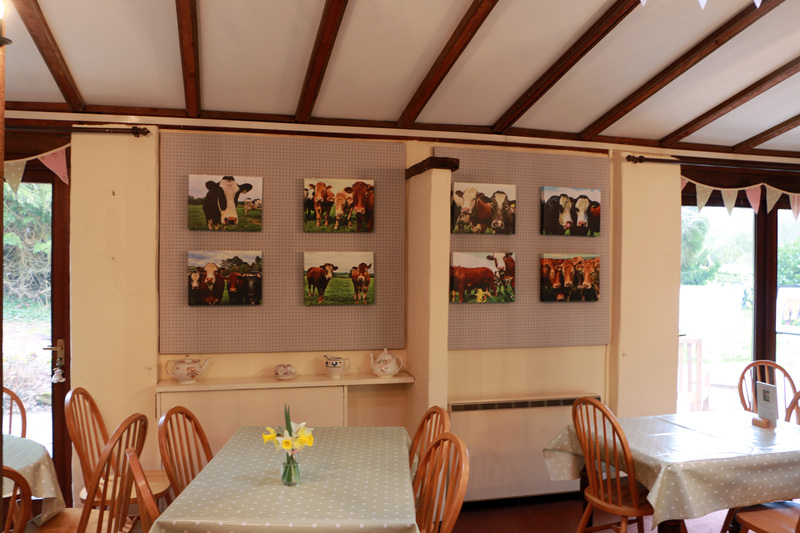 My friend Gill, who runs the Garden Tea Rooms in Worcestershire offered to display my work. 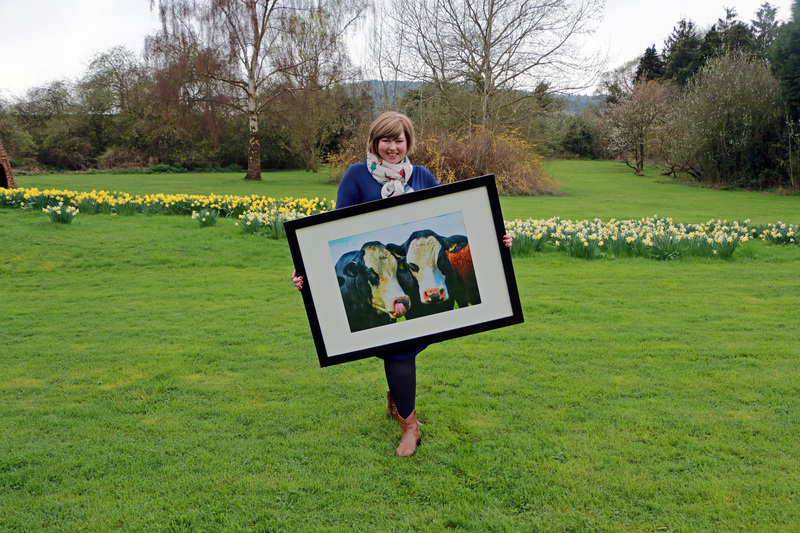 Over coffee, cake and chemo, we planned the exhibition – ‘Have I got MOOs for you’. Many of the images that I selected were taken while I was going through cancer treatment. There are not only cows in my collection but also plenty of steers. In other words both girls and boys. Taking pictures of these big, beautiful beasts has helped to get my through the difficult times. Over the past couple of years my parents have looked after me as I recovered from major surgery and relentless chemo. Being in the countryside was a tonic in itself, plus taking photos of the cattle over the garden fence took my mind off things. Now once again I’m trying to recuperate from chemo. I’m still ridiculously exhausted but putting this together has given me something lovely to focus on while not moving far from the sofa. The exhibition opened this weekend. It was good to feel nervous about something which didn’t involve blood tests or scans. We arrived early in the morning to get it ready. There were 15 pictures to put on display. This is my favourite, it features a pair of cheeky brothers. I should say that it was my friend Rache who worked out how to put up the hooks on the walls. That nervous excitement meant I wasn’t much use. She also took these photographs of my photographs. Really all I did was stand back and decide where to put them! It was a great feeling, such a sense of satisfaction, to finally see my pictures on the walls in their own exhibition. 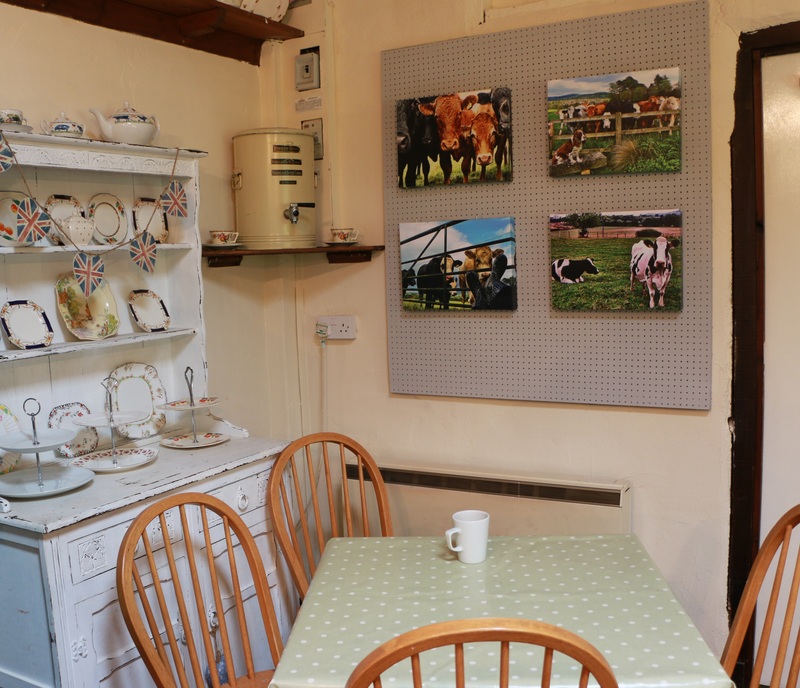 With the cattle grazing around us, there was only one thing left to do and that was to celebrate with a cream tea. 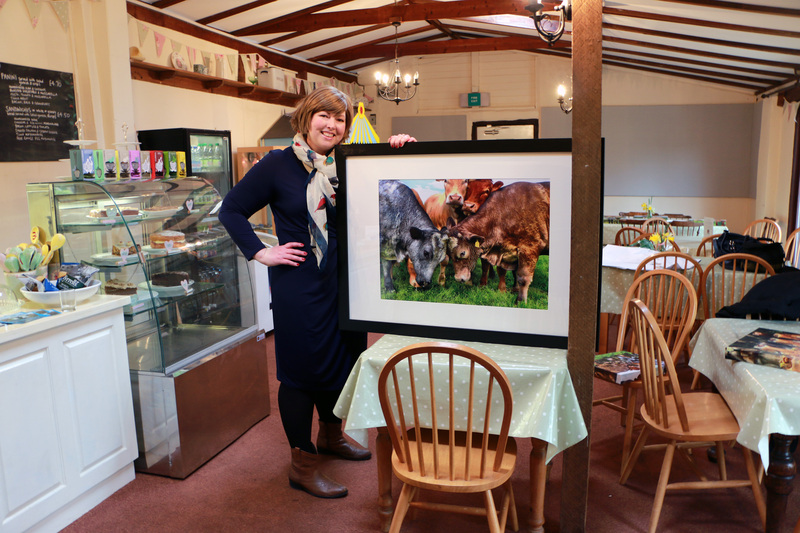 ‘Have I got MOOS for you’ runs until the end of the month at the Garden Tea Rooms which is next to Witley Court in Great Witley, Worcestershire. 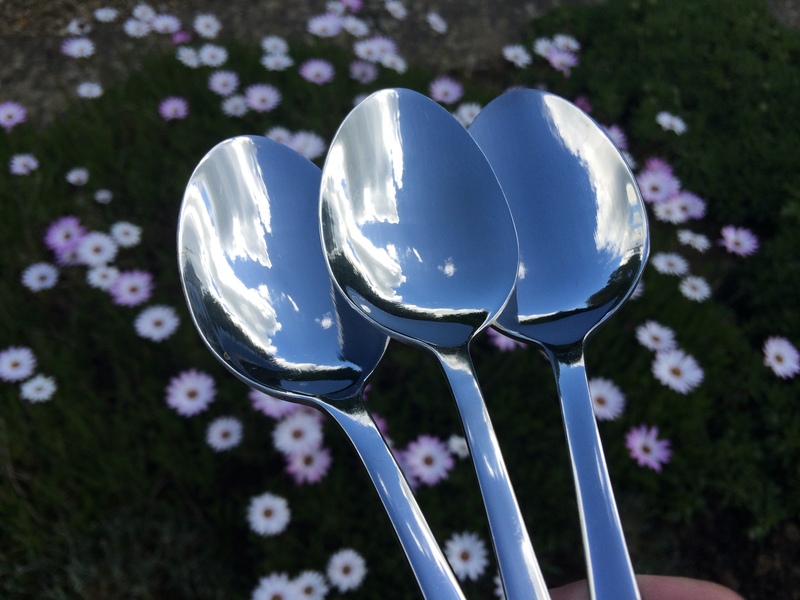 Special thanks to Gill Edmonds – Making People Happy With Cake!